In today’s global economy, more and more U.S. based businesses have satellite offices in other countries, employees who rack up the international frequent flyer miles, or some, if not all, of their operations base abroad. The risks can be greater, but so too can the rewards. Finding a business insurance policy or package that can protect you from the plethora of risks your company and its employees may face while in a foreign country is vital to protecting your interests. Whether your company only conducts international sales, partners with foreign manufacturers, or routinely sends employees abroad for trade shows, meetings or other business related events, your domestic business insurance policies most likely do not extend beyond U.S. borders. Many insurance companies specialize in global business policies, however, these can be quite expensive and their captive agents have their company’s best interests in mind, not yours. It’s not uncommon for entities dealing in international commerce to be oversold on their business insurance needs. Whether you need foreign business property damage, foreign liability, foreign automobile, or international employee coverage, you want to be sure the insurance agent you’re working with can help identify your risks and assist you in mitigating them with the proper policy. Many of these agencies only sell packages of international insurance and do not allow you to pick and choose the coverage options appropriate for your specific global business needs. Depending on where in the world you do business, you may or may not need kidnapping and extortion coverage as part of your insurance policy. 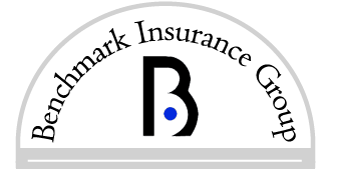 Business owners realize the importance of enlisting the services of an independent insurance agency, such as Benchmark Insurance, to help them identify their international insurance needs. We work for your business, not the insurance company, which keeps our interests in your best interests. Our knowledgeable, experienced agents can help identify your risks and suggest coverage options best suited for your commercial operations. Their ability to find a number of quotes from a variety of insurance providers also ensures you will find the best coverage at the most affordable rates. Contact us to find out how your global business can be protected with insurance made just for you.